Directions: Mix the crushed garlic and salt together and add to the grated cucumber. 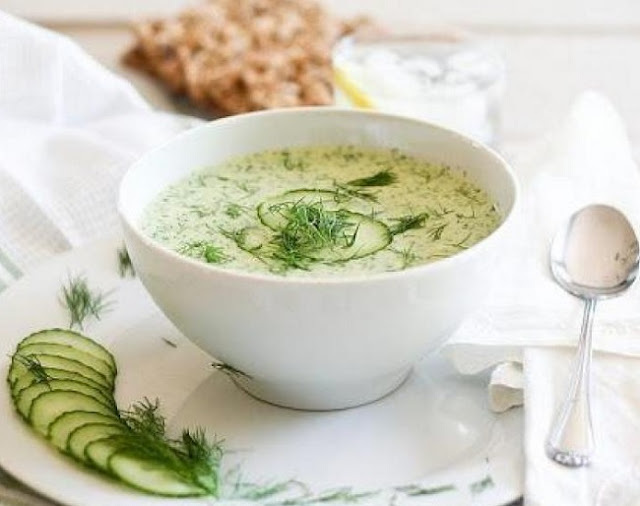 Put the yogurt in a large bowl and mix in the cucumber mixture. Depending upon the consistency and flavour of the yogurt you may wish to optionally thin-down the yogurt with the water. Taste and adjust seasoning. Drizzle with olive oil, sprinkle with chopped dill and the crushed walnuts if using. Refrigerate for a few hours before serving. Yummy!! !.